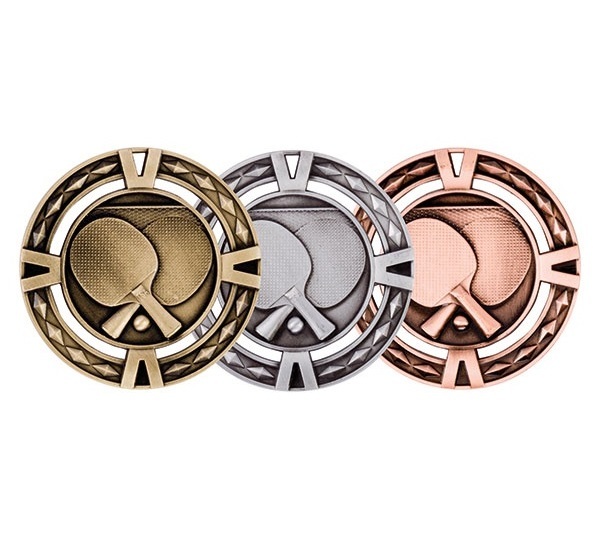 60mm heavy moulded table tennis medal with ribbon. Available in 3 colours, Gold, Silver and Bronze, complete with a red/white/blue ribbon. This great moulded medal depicts table tennis bats and ball.